It is always a good idea to be well prepared for a known situation in advance, so during the first two months of the year is when Nordica’s short-term rentals team gets prepared for the holiday rental season that starts with Easter. Having said that, we are already experiencing an influx of enquiries for holiday rentals in Nueva Andalucía for February and March, as many people in the more northerly climates seeks to escape the bitter cold and find some sun. A bride glowingly beautiful in white with the groom resplendent in his wedding best making their vows on a glorious sandy beach in the shade of swaying palms to the sound of waves gently lapping on the shore. 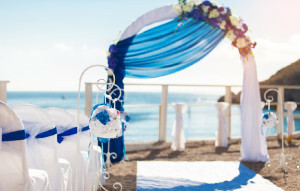 It’s the ultimate romantic dream scenario for many couples planning their nuptials—especially if they are up in cooler Northern climes. With the start of May the weather in Marbella is warming up nicely after the cooler winter days. The sun shining down on the region’s beaches and golf courses makes it the perfect time to visit and escape the cold snap that has hit much of northern Europe in recent weeks. Holidaymakers are being advised not to leave it too late to book their summer accommodation after a 27% surge in bookings from the UK alone. There is a real possibility of missing out on the best rentals in the most sought-after resorts such as Marbella and Nueva Andalucía after many tourists from Northern Europe have decided to avoid troubled Northern African countries and Turkey to stay closer to home. 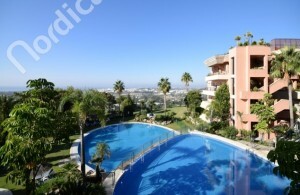 It’s a trend that is adding further to the popularity of the Costa del Sol. The joy of Marbella as a holiday destination is not just that every amenity and attraction is on your doorstep, but also that the accommodation is worth the trip in itself.